Despite a shop closure and ever-present challenges of high street retail, four-strong independent jeweller Peter Jackson has stayed on top game throughout 2017, enjoying healthy sales and delivering the first side-by-side Thomas Sabo concept store. Peter Jackson the Jeweller is one of the industry’s most highly respected independent jewellers. With a heritage dating back to 1982, and a number of prestigious awards under its belt, the family-run business has come a long way since its humble beginnings in St. George’s Centre, Preston. Today the jewellery retailer trades from four locations in the UK, after closing down its Southport store in May. Shutting its Southport doors after 20 years was no easy decision, but one managing director Peter Jackson made because running a profitable retail business on Lord Street has become increasingly difficult over the last few years, with local authorities showing no signs of a revitalisation programme. While Southport has become near to impossible to trade in, the managing director’s jewellery stores in Preston, Blackburn, Bury and Carlisle have all enjoyed a healthy turnover so far this year. In addition, Peter Jackson has partnered with award-winning fashion jewellery brand Thomas Sabo to launch a ‘first of its kind’ side-by-side concept store, and has innovations in the pipeline to strengthen business over the next 12 months. 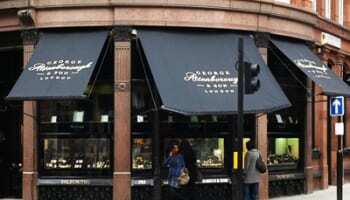 Talking to Professional Jeweller, Jackson reveals he has hopes to see local authorities investing more on the high streets where his retail offerings are currently located. “The days of people coming into our shop and throwing 20 pound notes at us are gone forever and if we want people to come into town and shop we have got to give them a good reason,” he comments. The award-winning independent retailer is looking to make in-store purchasing as easy and enjoyable as possible by encouraging local authorities and retail centres to offer consumers an unparalleled shopping experience. Jackson, who was awarded an MBE in 2012 for his services to charity, reveals: “The people who are running town centres need to recognise that not all are going to survive and if we want ours to survive then we’ve really got to work hard at it and give the consumer what they’re looking for in terms of retail offer, parking, leisure, eating and so on. “We try to be involved with the local communities and we try to work with the people that run the town centres and the shopping centres to try to ensure that our voice is heard.” Once the jeweller has managed to get customers through the door he aims to make them a customer for life, not just a one-stop fleeting visitor. In order to form a bond with the consumer Jackson is a firm believer in having the right team on hand. He explains: “That’s a big issue as well, having the right people. If they [consumers] really enjoy the customer service they will come back again and again so building customer relationships is an important part of what we do. Having built up a strong team to help the store achieve its goals, Jackson is looking to encourage his staff to stick around and grow within the company. As a sign of appreciation to his staff Jackson rewards his most longstanding and dedicated team members. 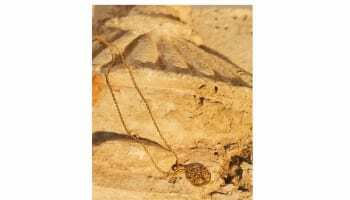 The jeweller runs the ‘Five Year Club’, whereby any member of staff who has been with Peter Jackson the Jeweller for five years can join. While there are many perks of being a club member, the one the jeweller is perhaps most pleased with is the yearly dinner he treats them to. This year 25 of Jackson’s 45-strong team earned themselves places within the club. 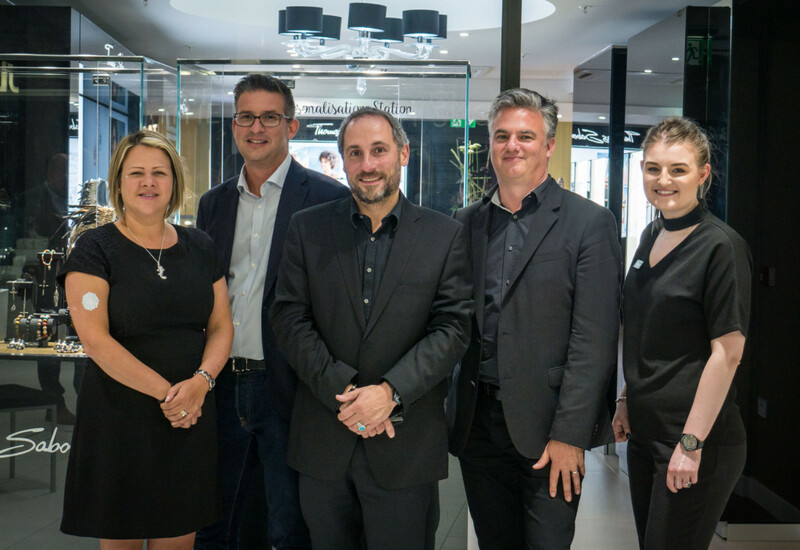 With such a strong and experienced team on deck Jackson took 2017 as the time to snap up a unique retail opportunity with a global jewellery brand. Over a cup of coffee with Thomas Sabo managing director, Jon Crossick, the pair hatched a plan which would see Peter Jackson the Jeweller running Thomas Sabo’s first dual retail store. Strong demand for Thomas Sabo in the region led to both brands exploring this partnership, which evolved naturally as Peter Jackson has been championing the brand in the UK for over 10 years. As a new wholesale venture for Thomas Sabo, the Preston boutique is the first concept store not owned by the fashion jewellery brand, and it has been designed to sit side-by-side with Jackson’s flagship store in St George’s Shopping Centre. With such a notable development under its belt the company is now looking to keep moving.